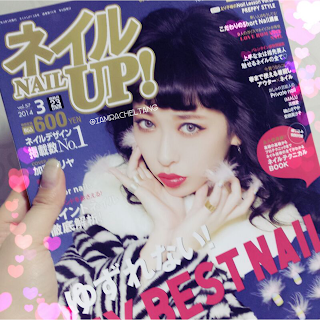 I am glad everyone had enjoyed my previous post on the NAIL ネイルUP! feature. I'm sure many of you have seen the magazine by now. 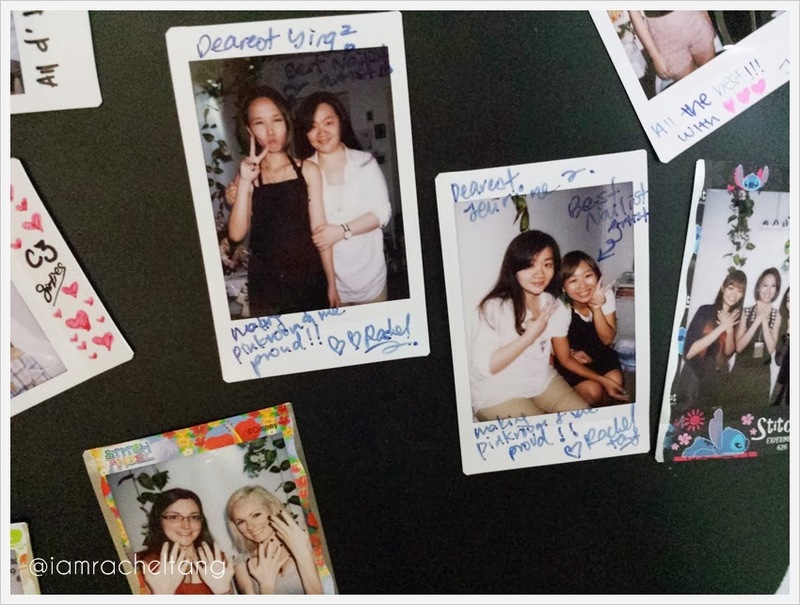 The best part of this feature was that I managed to get Nail Up team to include our graduates' salons. Initially, the team wanted to visit any random shopping center and do their interviews. I was thinking, why not feature our PinkRoom graduates. After all, our graduates practice professional nail services which I cannot guarantee for other salons. 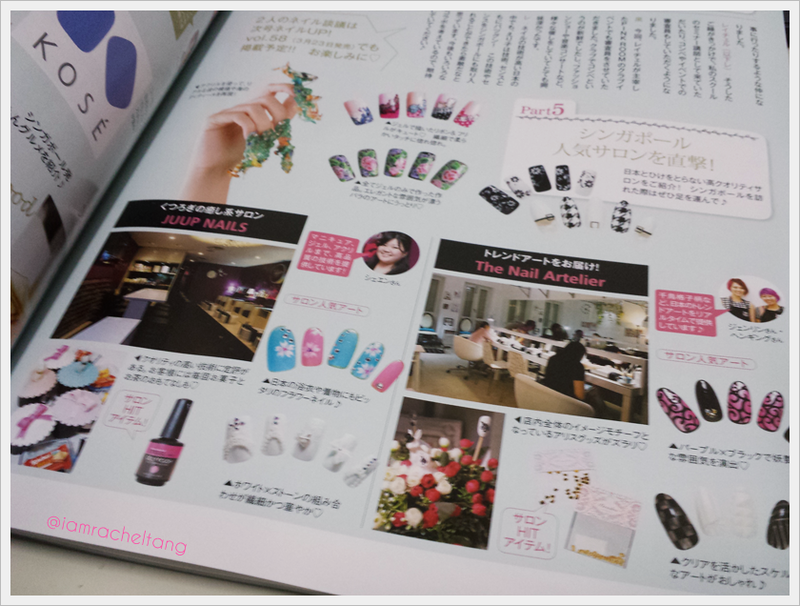 The Magazine team requested for different types of nail salons in Singapore. 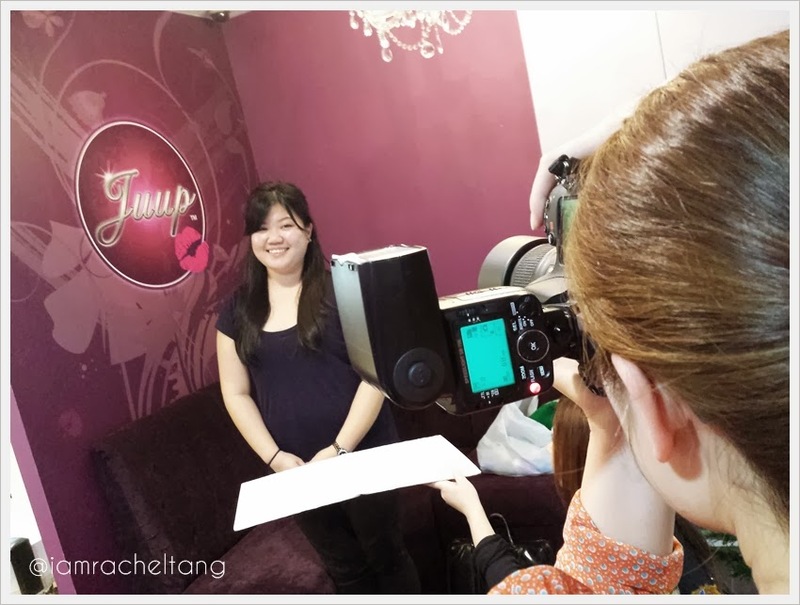 Thus I recommended a few... which the team chose two different type of salon - a chain salon & a salon in a shop-house. Shop houses are unique to the Japanese, as nail salons in Japan are usually in shopping centers. 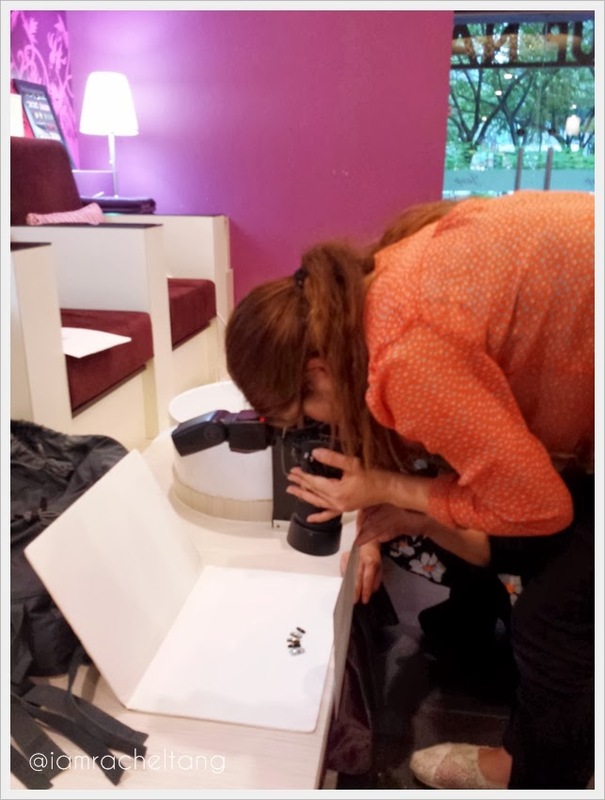 It wasn't an easy task for the reporters & photographers to feature our girls~ as they had to travel to different salons to conduct the interview and photo shoot, while carrying their equipment. And because of the language barrier, we had to bring a translator along as well! The girls were asked on the most popular nail art designs in their salon, and which are their favorite nail products. They also shared their experience on how they start their business. They are featured on PART 5 of the magazine feature~~ This is a hard-to-get chance and I'm glad that our graduates managed to be featured this time! I hope that through my power in the industry, I will be able to help our graduates to receive more coverage on local and international media! This has always been my aim and I am glad that it is coming true! 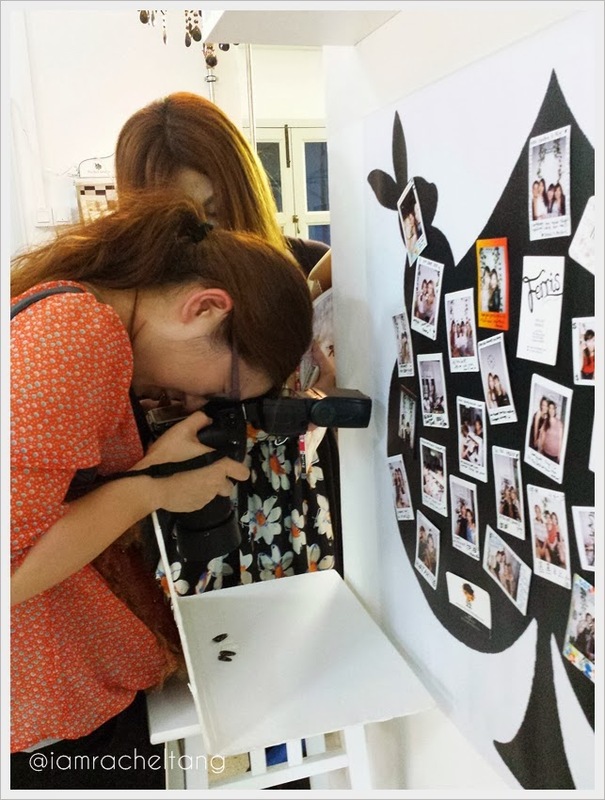 I have more exciting plans coming up~ stay tuned on my blog for more updates and find out how to be part it!